There are currently 29,471 users on this website. I honestly don't know how I even realized this was an issue. I wasn't scouring the treeline or anything but something made.me check it against another of the same quarter. Sure enough it was remarkably different. 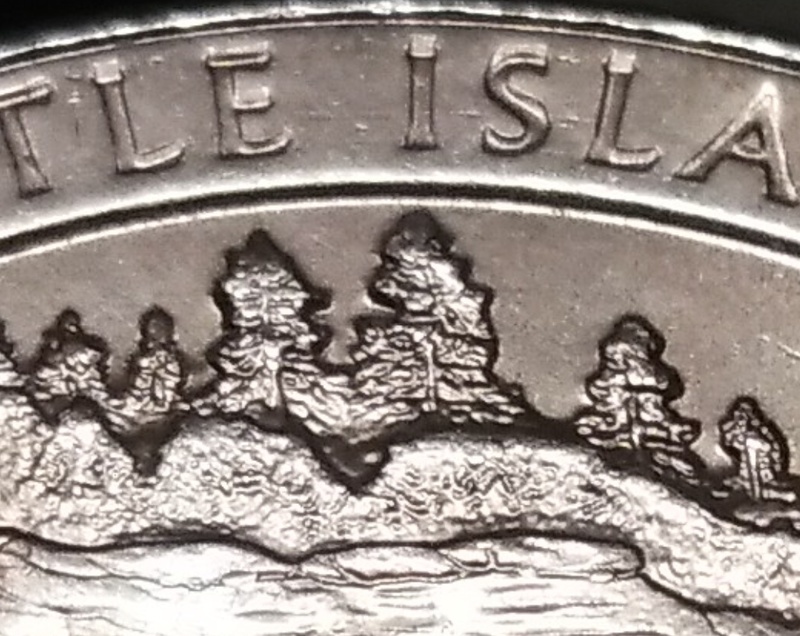 One coin has a normal treeline and the other is missing a tree and instead has more mountainside. Yep. It's from a Die Chip. Kinda neat. Very interesting. I'll have to find a couple of those to examine. It appears to be a die chip. Nice catch! 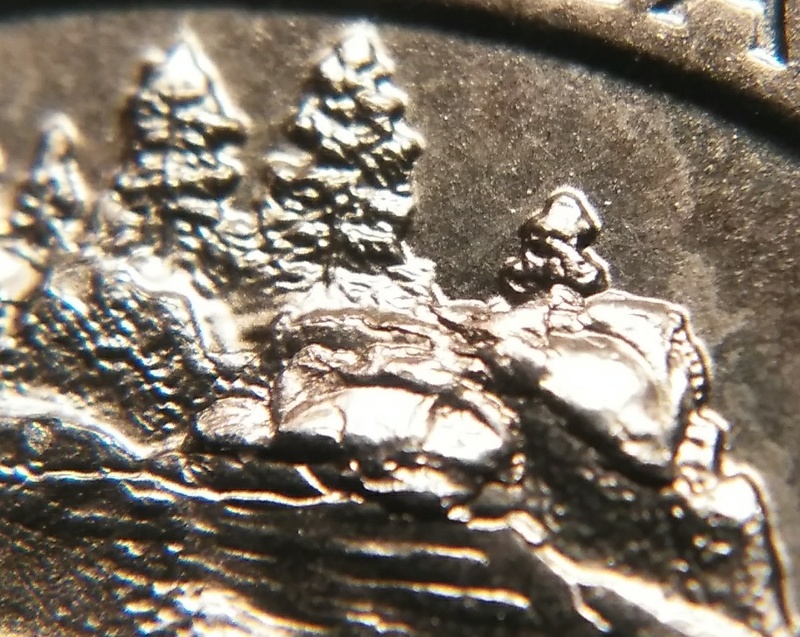 At first I didn't think they were die chips because they just look too much like the rest of the mountain but what else could it be from? 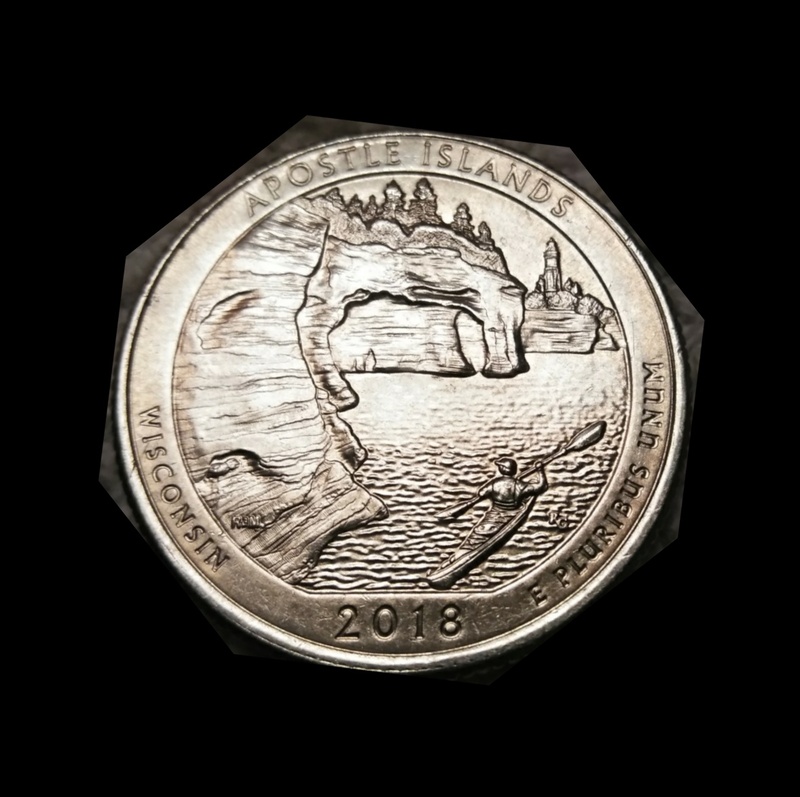 I actually have two of these coins with the same anomoly and they look identical so I couldn't tell if there was progression or not. 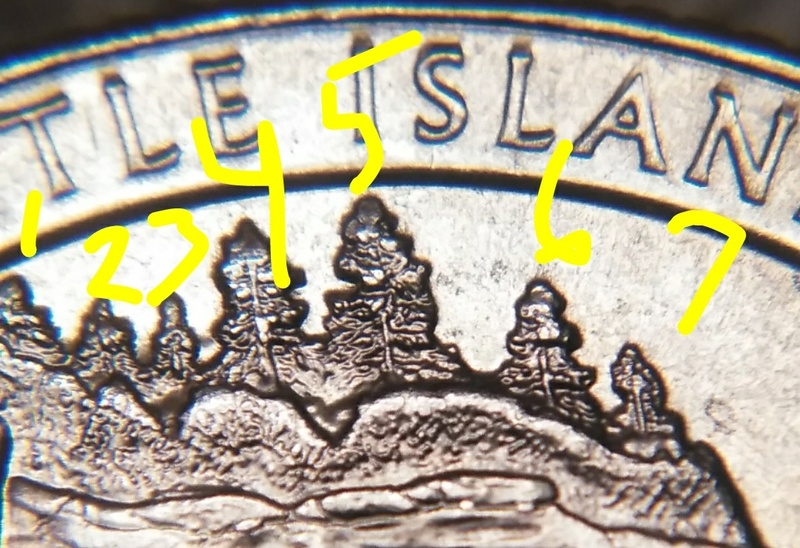 I'm looking at the one I got in change recently, and there's definitely a seventh tree. 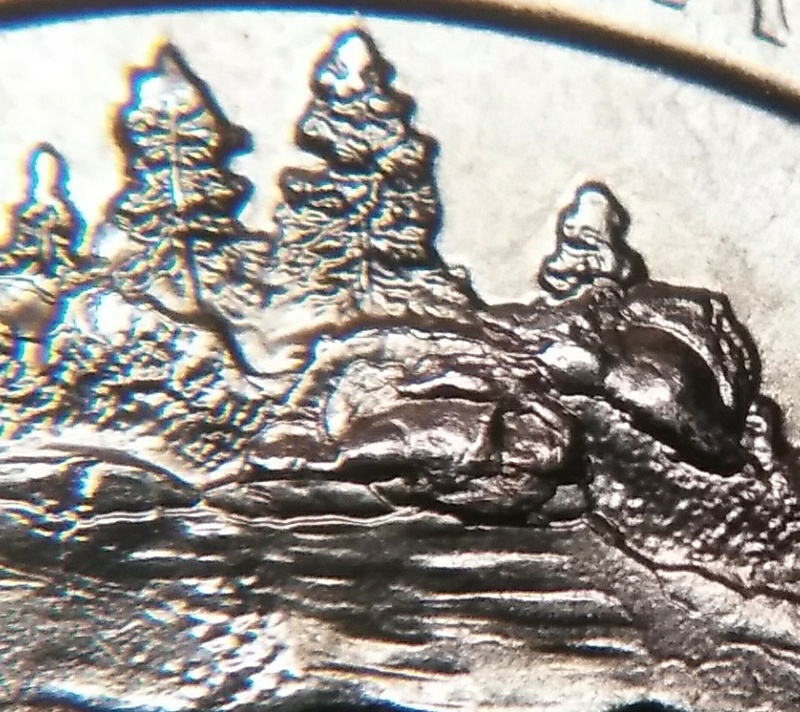 How about 8 trees, and a large die chip! Found 4 of them so far. Have a scope coming but here is a scan. 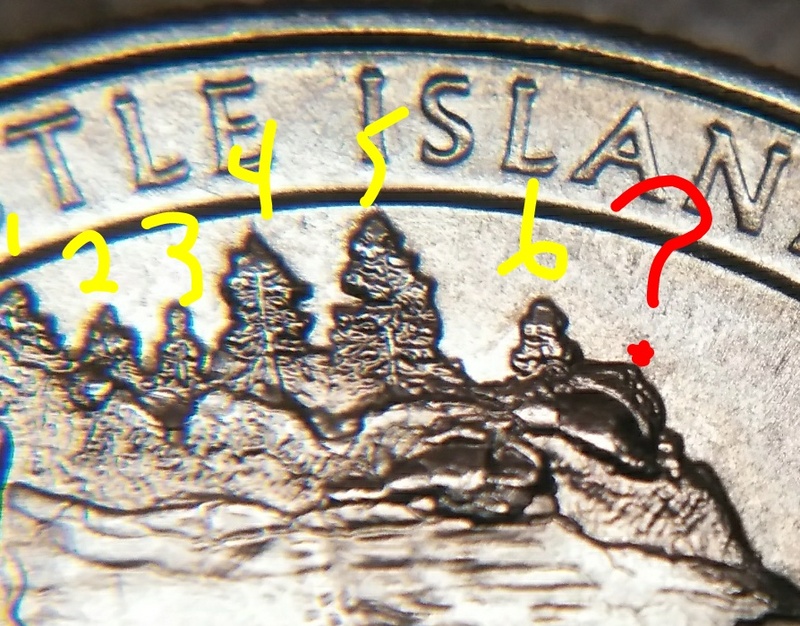 If you found four, does that mean it's a common error, or do lots of coins pass through your hands, and you're finding various errors? 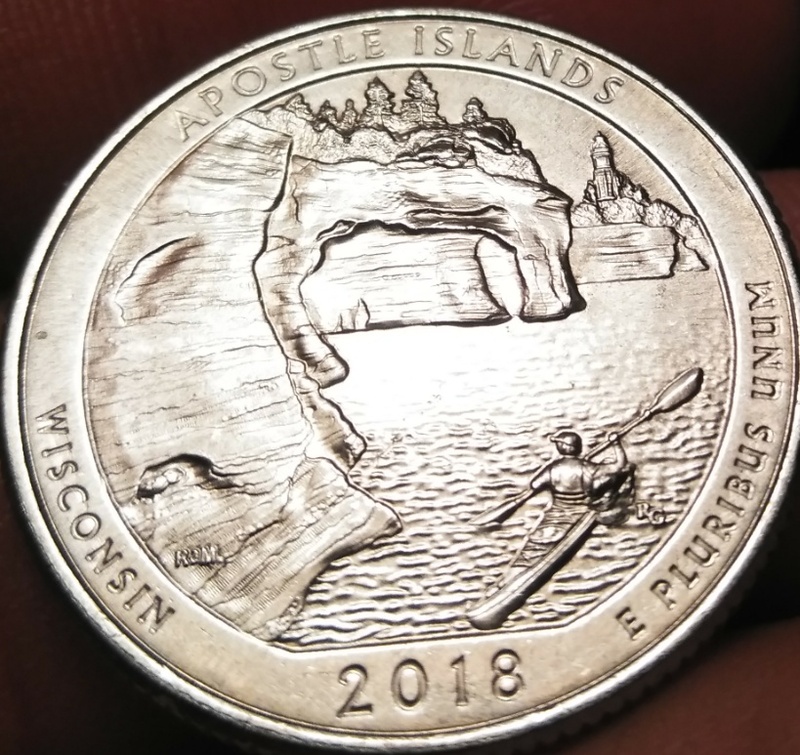 This isn't the first Wisconsin-themed quarter with an error, either. 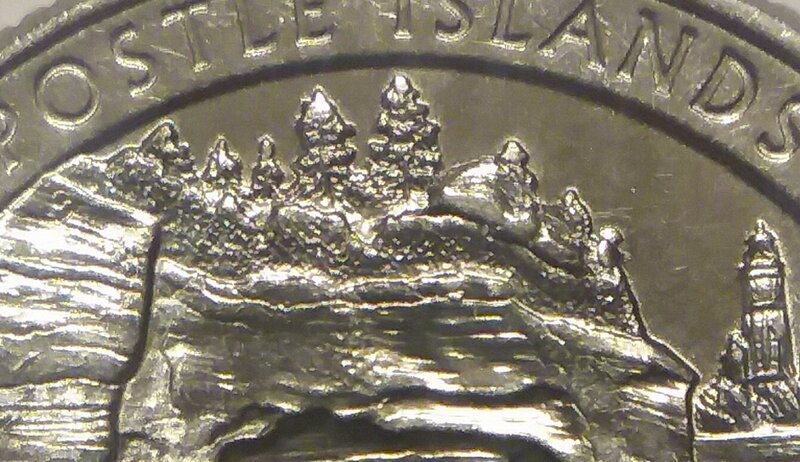 There was something funny going on with the corn next to the cow on some of the State Quarters minted in Denver. At least one member here makes interesting devices out of coins. 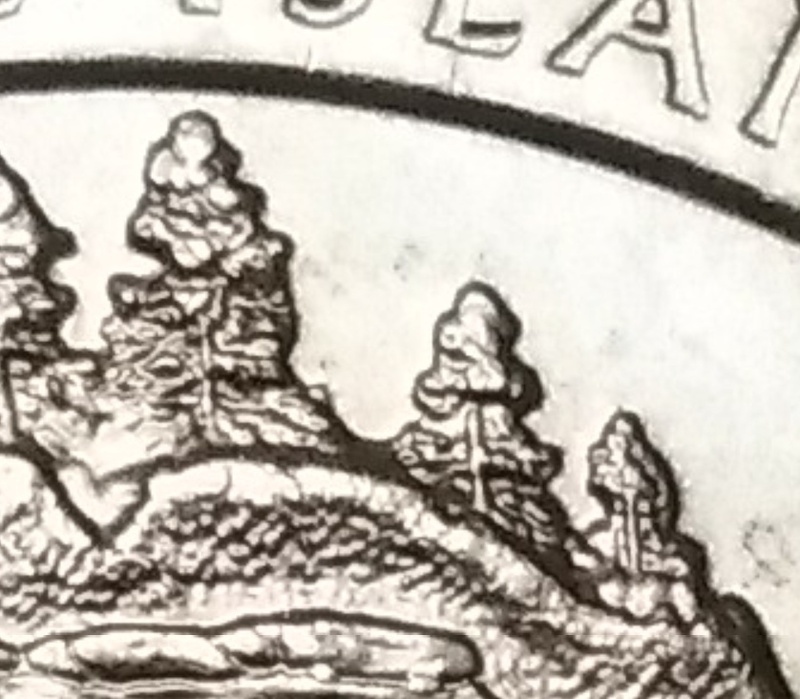 Maybe the different inadvertent versions of this coin could be the basis for making a working puzzle. Probably only common to my area (Northeast Ohio).I do go through alot of change daily for my job. 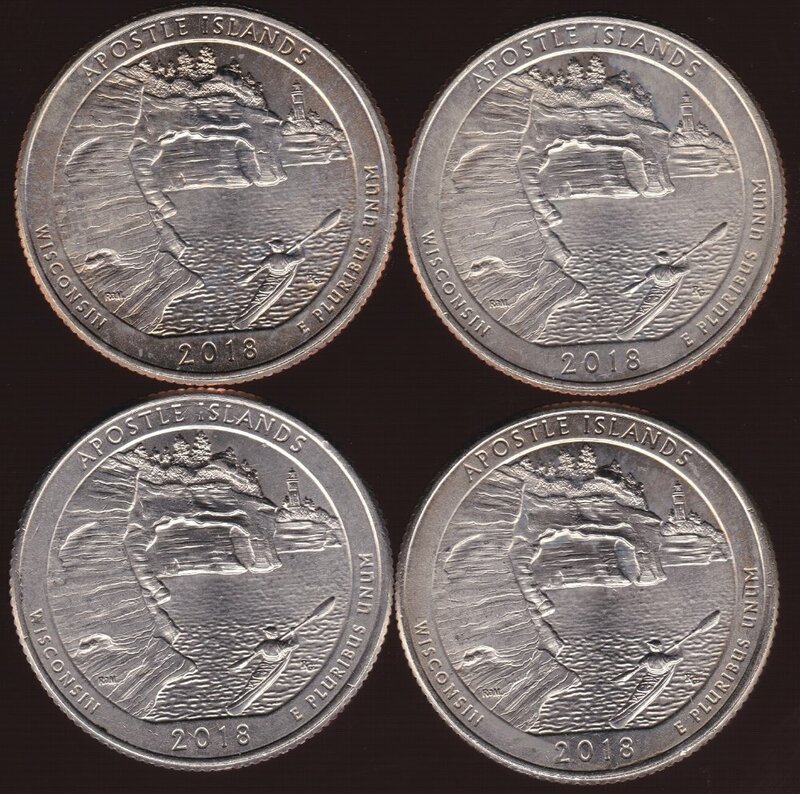 Waynoah got me excited with his discovery, so I looked at about 30 Apostle quarters I had set aside to look at later in case a major DDO was discovered or something, and was actually amazed to find these 4 quarters with the same die chips! I'll bet you will not find any like mine or Waynoah's, but different. They are just die chips, but are fun to find.